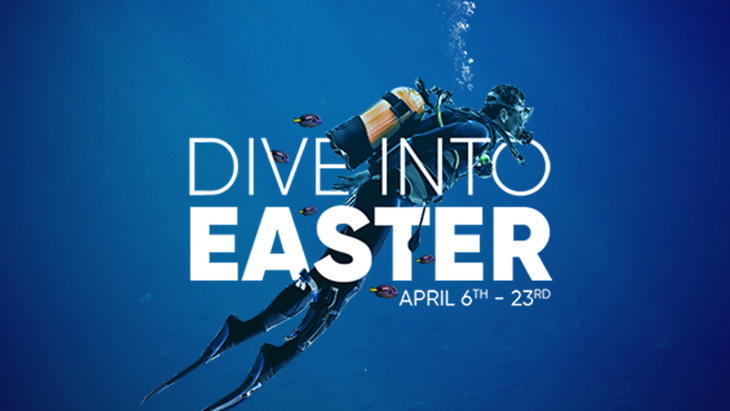 This Easter School Holiday (April 6th – 23rd) at the UK’s largest Aquarium we’re jumping feet first to explore the underwater world of Scuba Diving! With the Ocean making up a massive 99% of the living space on our Blue Planet it’s important to find ways to explore it! We’ll have our brand new Diver Communication system up and running meaning you’ll be able to interact with our Dive Team whilst they’re in the tanks! As well as the dive show we’ll have our new state of the art virtual reality headsets which you’ll be able to try on and experience what it’s like diving in one of our massive exhibits with our stunning animals. If that isn’t enough we’ll have a Scuba Dive Trail around the building where you’ll find out about the equipment you’ll need to dive in the Ocean. We’re looking forward to seeing you in the Easter Holidays. Don’t forget all day tickets to the NMA come with a complimentary year pass so you can come back as much as you like for up to 12 months! Running daily during a week in the Easter Holiday these activities will get marine enthused teens out of their comfort zones and doing things they’ve never done before! 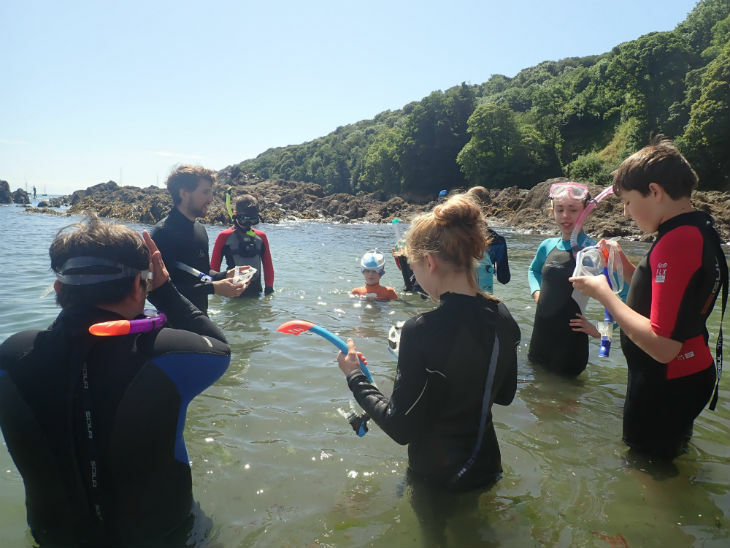 Session include; becoming an Ocean Scientist, creating a conservation video, a boat trip around Plymouth Sound, undertaking more experiments, sustainable seafood cooking with professional chefs and snorkelling in the sea. But that’s not all! As well as all of the amazing activities they’ll be doing, you’ll receive an Ocean Squad t-shirt and bag, a memory stick with all of your memories from your week and a year’s pass to the National Marine Aquarium, so you can come back and relive your week! Places cost just £115.00 per place for over 25 hours of Ocean time with our staff! Looking for an extra special experience? Try a Sleepover with Sharks Sleepover! The next of our famous Sleeping with Sharks Sleepovers is happening on April 13th and is very nearly sold out. These family sleepovers at our Aquarium are world class events that will mean you won’t want to leave! 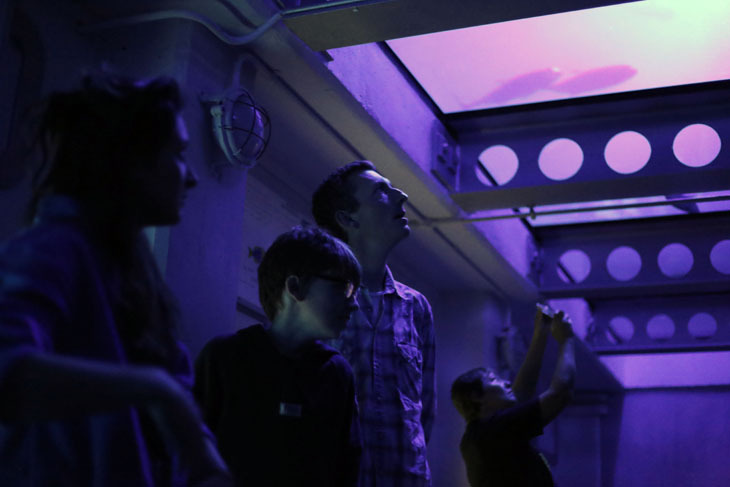 With special tours, after hour exploring, soft play, snacks and a film in front of the tank this will be one for all the family.